What do you really know about OCD? Obsessive compulsive disorder is a mental illness marked by obsessive thoughts and compulsive behaviors. 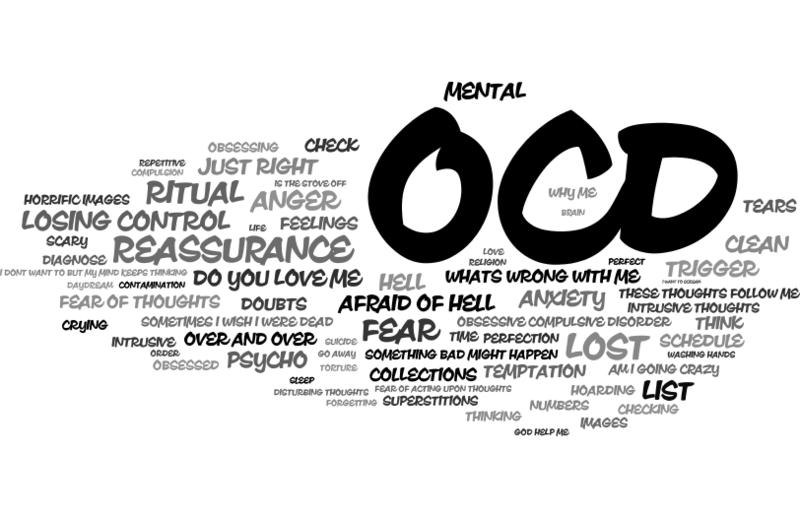 OCD is very prevalent but still one of the most understood health conditions out there. There are many misconceptions about OCD that people have either due to information from unreliable sources or how it’s characterized on TV (Tony Shalhoub in Monk and Jim Parsons in The Big Bang Theory). FACT: OCD is a very real mental health condition affecting about 2 to 3 million adults, and half a million youth, in the US alone. You often hear people say, “I’m a little bit OCD”, when in actuality they may have obsessive or compulsive traits, but not OCD. Someone diagnosed with OCD cannot simply “turn it off”. The brain of a person with OCD is wired differently contributing to a stronger influence on one’s thoughts and actions. MYTH: STRESS CAUSES OCD, PEOPLE JUST NEED TO RELAX. FACT: Having OCD is not simply an overreaction to the stresses of life. While stressful situations can increase symptoms for people with OCD, they do not cause OCD. People with OCD encounter debilitating anxiety on a daily basis, due to things called obsessions. The worry and fear caused by their anxiety leads people to use compulsions or rituals. These are not activities that a person does because they want to, but rather because they feel as though it will ease their anxiety. The reality of it is that the rituals individuals with OCD do in order to reduce their anxiety are actually exacerbating it. FACT: Sure, a fixation on keeping things clean may be a common compulsion of OCD but it only makes up a small part of the range of OCD triggers and symptoms. People with OCD can have obsessions related to a wide variety of things. Vice versa leading to different compulsions, such as hoarding items, counting, checking and rechecking that you didn’t make a mistake, fearing something bad such as a fire or accident, and repeating routines such as going in and out of a door. MYTH: OCD ISN’T TREATABLE AND THERE IS NO HOPE FOR PEOPLE WHO HAVE IT TO EVER LEAD HAPPY, FUNCTIONAL LIVES. FACT: With proper treatment, it is very possible for people with OCD to lead full and productive lives. 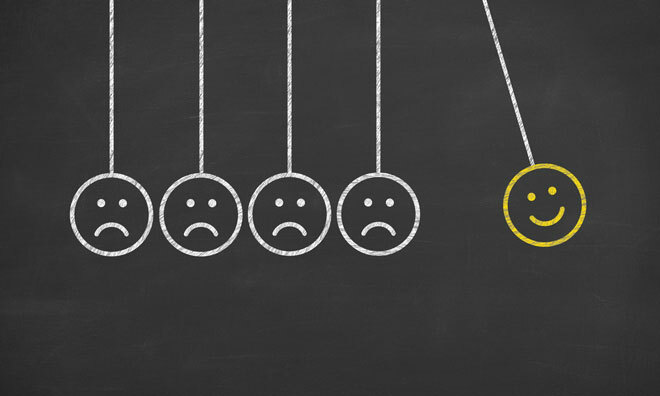 Many people respond positively to behavioral therapy and/or medication. Individuals have also reported support groups are very helpful. Support groups provide people with OCD the opportunity to meet others in the community who understand what they are going through. It’s important for people to remember that OCD cannot be cured, but it can be controlled with proper treatment. OCD is a mental illness and stigma is one of the biggest problems faced by people with mental illnesses. We can help by thinking about what we say and do beforehand, making sure it’s not stigmatizing. Education is also key so that individuals become more knowledgeable and are able to distinguish between fact and fiction. Removing the stigma of mental illness is not an easy task but if everyone does their part it will make the world a better place. Taylor, R., & Reeder, C. (2015). Intensive individual and group cognitive behavioural therapy for obsessive-compulsive disorder. American Journal Of Psychotherapy, 69(3), 269-284. According to the American Psychiatric Association (2013), Depression (major depressive disorder) is a common and serious medical illness that negatively affects how you feel, the way you think and how you act. Fortunately, it is also treatable. Depression causes feelings of sadness and/or a loss of interest in activities once enjoyed. It can lead to a variety of emotional and physical problems and can decrease a person’s ability to function at work and at home. Unexplained aches and pains. An increase in physical complaints such as headaches, back pain, aching muscles, and stomach pain (Peres et al., 2017). Not everyone who is depressed experiences every textbook symptom. Some may only have a few symptoms while others experience many. Several persistent symptoms in addition to low mood are required for a diagnosis of major depression, but people with only a few – but distressing – symptoms still may need to seek treatment for their depression. The severity and frequency of symptoms and how long they last will vary depending on the individual and his or her particular illness (Ben Ari et al., 2014). If yourself or a loved one is experiencing any of the above, it is important to let someone know! Your depression can be treated and there is hope for a healthy and happy future! For some, regular exercise helps create positive feeling and improve mood. Getting enough quality sleep on a regular basis, eating a healthy diet and avoiding alcohol (a depressant) can also help reduce symptoms of depression. Depression is a real illness and help is available. With proper diagnosis and treatment, the vast majority of people with depression will overcome it. If you are experiencing symptoms of depression, a first step is to see your family physician or psychiatrist. Talk about your concerns and request a thorough evaluation. This is a start to addressing mental health needs! For my brochure I examined the health risks that obesity can have on a person’s body. I touched upon the fact that one of the reasons that the fight for a healthier lifestyle is so hard for some people is because of the way society in general portrays people that are struggling with obesity. Movies and television portray people with obesity either as lazy, stupid, or just overall imcompetant. So imagine if you are a person with obesity, you want help, but all society does is kick you and tell you that its your fault for the posistion you’re in. Even if those statements were true, and obesity was not the result of physiological disorders or psychological addictions, they wouldn’t be an encouragement for people with obesity to go out and seek help. This portrayal and the affect it has on society, even on medical professionals, is called ‘weight bias’. Many people with obesity encounter health problems that have no relation to the obesity they struggle with. Unfortuantly, there are many health professionals that are unable to look past the patient’s weight and give an unbiased diagnosis. Many see the patient and come to the conclusion that anything wrong with them must be attributed to their weight, and many say the same thing ‘it’ll be fine once you lose weight, you just gotta lose weight’. Not only is this practice wrong, but it can be dangerous to patients. She was experiencing pain in her hip and found that it was hard for her to walk. X-rays and MRI’s showed nothing wrong so she was sent to an orthopedist. When the patient tried to explain her symptoms to the orthopedic, he would cut her off, saying that she needed to lose weight, and would not consider any other possibility. The patient was in tears by the end of the session because she felt so humiliated and the treatment she had been given. It took her several months to finally convince herself to see another doctor. This orthopedist actually took the time to examine her and found that she had developed scoliosis, a condidtion which causes one’s spine to bend, which was causing all of her hip pain. These factors can result in people with obesity developing depression, anxiety, low self-esteem, and a mistrust of people. Exercise is a great way to keep your body fit and healthy but is exercise also good for your brain? It has been said that exercise is good for the human brain with many recent studies suggesting that regular exercise improves thinking and memory skills. Exercise is defined as planned and structured physical activity designed to improve or maintain physical fitness. Studies have shown that exercise can improve brain or cognitive function. Aerobic exercise has been widely praised for its potential benefits to cognition and overall brain and mental health. Aerobic exercise has been shown to stimulate hippocampal neuroplasticity and successfully counteract deteriorating hippocampal function. Neuroplasticity is the process in which your brain’s neural synapses and pathways are altered as an effect of environmental, behavioral, and neural changes. The hippocampus plays an important role in both learning and memory and affective processing. Aerobic exercise can also increase the rate of hippocampal neurogenesis. Adult neurogenesis is a form of structural hippocampal plasticity that refers to the process of stem cells forming new neurons within a few, distinct sub-regions of the adult brain. Aerobic Exercise also induces a variety of other neuroplastic mechanisms that work both independently and in tandem with neurogenesis to improve hippocampal functioning. People who exercise regularly report being able to focus and perform better on the days they work out. So how much exercise do you need to help your brain function at its best? Experts believe that as little as 15-30 minutes per day three times a week may be enough to improve brain performance. Thirty to sixty minutes per day four to five times a week is even better. As with all exercise, the more you put into it, the more you get out of it. Exercise is good for your body in so many ways including improving brain function. So you should incorporate as much exercise as you can into your daily or weekly routine. Just take it easy starting out until your body adjusts to getting more exercise. Mama June has recently made headlines for her tremendous weight-loss. She is the newest celebrity to add her name to the list of people attributing their weight-loss to bariatric surgery. Other celebrities on the list include Star Jones, Randy Jackson and Al Rocker. These celebrities make it look easy; obese one day, thin the next. But what happens in between the before and after picture? The public has a perception of weight-loss surgery as the ‘easy’ way out, the ‘quick fix’ for obesity. However, research shows, that while the results may happen fast, there is nothing easy about undergoing weight-loss surgery. Here is what the women of The View had to say about Mama June’s recent weight-loss. Discussions like these lead to more questions rather than answers. Weight-loss surgery is more than just a before and an after. It is an entire journey. Here are some misconceptions and facts about weight-loss surgery. People who undergo weight-loss surgery are lazy. Wrong! Americans are constantly trying to lose weight, but many are failing at the attempt. People are not overweight because they are lazy. American culture makes it difficult to maintain a healthy weight. An estimated 34.2% of U.S adults aged 20 years and older are overweight, 33.8% are obese, and 5.7% are extremely obese (Nardulli, 2012). Once a person reaches the point of obesity it is very difficult to get back down to a healthy weight and maintain that weight. Obesity is a chronic disease that presents significant challenges for treatment long term. For lifestyle interventions, only 20% of people attempting weight loss can achieve and maintain 5% weight loss over a year (Stoklossa & Atwal, 2013). Surgery is a quick fix for rapid weight-loss. Wrong! Surgery should not be viewed as a cure, or quick fix. Instead, it is a tool to help get someone to their weight-loss goal. Diet and exercise are still important components to overall success. Patients must adhere to a strict nutritional regimen to ensure safety and success. Also, patients who undergo surgery must consider the risks of surgery as well. When examining a laparoscopic sleeve gastrectomy, the perioperative and postoperative mortality rates are 0.29% and 0.34%, respectively, with complication rates of 13%.14,23 Rare complications occur in the early postoperative period. Serious complications include difficult-to-remedy proximal leaks (4.9%) and bleeding from the long gastric staple line (2.4%) Most complications occur in the late postoperative period. These include gastroesophageal reflux (23%), vomiting (18%), gastric tube stricture (2.3%;), stenosis (2.4%), leak (2.4%), incisional hernia (2.4%), gastrocutaneous fistula, and weight regain (Ma & Madura, 2015). The Doctors discuss the science behind bariatric surgery. This is often determined by the individual insurance company. Some companies will cover the cost without issue. The easiest way to get covered is through the recommendation of a doctor. However, this does not always mean the insurance company will cover the cost. Coverage is determined on a case by case basis so individuals interested in undergoing weight-loss surgery should check with their insurance carriers. The cost of the surgery, without complications, is approximately $13,000 dollars (Nardulli, 2012). Is weight-loss the only benefit of surgery? No! Quality of life and reduction of comorbidities are other major reasons why individuals seek surgical intervention. Obesity contributes to approximately 300,000 premature deaths each year because of health-related complications (Agala, 2017). Obese individuals often suffer from a variety of comorbidities that negatively impact their overall health and well-being. Some comorbidities include hypertension, diabetes, sleep apnea and hyperlipidemia. Those who are overweight also suffer from psychological issues like anxiety and depression (Parks, 2015). A person with a BMI ≥ 40, or more than 100 pounds overweight. A person with a BMI ≥35 and at least two obesity-related comorbidities. Inability to achieve a healthy weight loss sustained for a period of time with prior weight loss efforts (Agala, 2017). The Doctors discuss another celebrity who had great results with bariatric surgery. Weight-loss surgery is not a quick fix, it is a journey. It is not as simple as the media portrays it to be. It is a choice for a better, healthier lifestyle! Ma, I. T., & Madura II, J. A. (2015). Gastrointestinal Complications After Bariatric Surgery. Gastroenterology & Hepatology, 11(8), 526-535. Nardulli, J. A. (2012). The Road to Health Is a Battle Hard Fought: Support for Requiring Coverage of Bariatric Surgery for an Expanded Group of Qualified Individuals. Journal Of Legal Medicine, 33(3), 399-415. Park, J. (2015). The meanings of physical appearance in patients seeking bariatric surgery. Health Sociology Review, 24(3), 242-255. Stoklossa, C. J., & Atwal, S. (2013). Nutrition Care for Patients with Weight Regain after Bariatric Surgery. Gastroenterology Research & Practice, 1-7. The 5 Signs of a Heart Attack. How It’s Not Like the Movies. We have all seen it. The crushing chest pain that doubles actors over as they attempt to replicate the somewhat romanticized pain that people who are experiencing a heart attack feel. In fact, if you right now were asked to visualize a person having a heart attack, I would bet that the image is similar to the one described. But, it’s not your fault. You have been programmed by pop culture to be ignorant to a very important subject. Subconsciously, movies and tv shows have implanted a misrepresented image in your head that results in an incomplete education about the symptoms of a heart attack. Now, the most common symptom is chest pain, but what if I told you that women are more likely to experience other symptoms than men? How can you be expected to know that when the majority of all heart attacks on the television are performed by men? Woman’s symptoms are so misrepresented in pop culture that typically, the woman won’t even go to the emergency room because they are not experiencing classic chest pain. This demonstrates the universal acceptance of a single entity as a determining factor of a heart attack. And even though it is the most common symptom, singularly subjecting it to the audience level of the whole world, minimizes the awareness of the other 4 symptoms, possibly causing a victim to not seek out immediate treatment. After watching the second video, we now have a visual database to correspond to our descriptions. Increasing our own education and avoiding these pop culture pushed stigmas will be the only way forward to a higher survival rate for heart attack victims. Disparities in adult awareness of heart attack warning signs and symptoms — 14 states, 2005. (2008). MMWR: Morbidity & Mortality Weekly Report, 57(7), 175-179. Facts and more facts about tobacco addiction. Why do people ignore this boldly written warning? It is no hidden secret that smoking cigarettes is detrimental to our health, yet; it is not surprising to see many people including healthcare professionals take smoke breaks during the day. The topic of smoking is a debate that has been going on from time immemorial with opposing sides having valid notions to buttress their opinions. But I am not here to get into the ethical debate of the act of smoking. I am just here as a healthcare professional to shed some light on why it is very addictive. As many of us already know through education and various media sources, tobacco smoking in itself is not addictive but rather it is the nicotine component that is added when the leaves are made into cigars and cigarettes that is. As the above documentary shows, in order to make the taste of tobacco appealing to the consumer many chemical components (also called add-ons or additives) such as urea, ammonia hydroxide, chocolate, butter fat, are added. This changes the chemical composition of the nicotine and makes it easily absorbed into the body. Medical fact: It takes nicotine approximately 15 seconds to be absorbed into the entire body from the lungs upon inhalation. This is what makes smoking the leading cause of death worldwide. According to Rosenberg (2013), tobacco use remains the leading cause of preventable morbidity and mortality in the USA. In the USA, smoking is responsible for about one in five deaths annually or about 443,000 deaths per year (pg. 137). Despite these staggering numbers, cigarette smoking is still on the rise. Ok now to the real reason why tobacco smoking is addictive and why people cannot quit easily. Nicotine after it is absorbed into our bodies, works on chemical receptors in our brains called dopamine. This is our feel good center. Due to the feeling of happiness, alertness and energy we get when we smoke, the brain produces more dopamine than needed and this triggers us to smoke more in order to continue to feel good. Hence the cycle begins! In time, the body builds tolerance and so to compensate and stay in that euphoric state – we smoke more and more. With this awareness, one may ask why smoking tobacco is not banned or illegal? The fact is, the tobacco industry is a multi-billion dollar business that has great influences in the society and its issues. Every time, this concern comes up and public awareness increases – the industry ropes alcohol and other major industries such as coffee into the debate and foils the attempt to shut it down. The tobacco industry has sought repeatedly to build direct or indirect alliances with the alcohol industry and to use their financial resources and lobbying power in the policy arena. To oppose cigarette tax increases, which the public generally supports, the tobacco industry broadened the cigarette tax issue to include alcoholic beverages and other consumer goods (Jiang & Ling, 2013). Another interesting medical fact about tobacco smoking (addiction)is that, long term, it changes the DNA structure therefore there is the tendency of new generation being born to be genetically predisposed. According to an article in Addiction magazine, by comparing concordance rates for being a current or former smoker versus a never smoker, one can estimate the genetic contribution to smoking initiation. Such comparisons suggest that genetic contributions to smoking initiation are substantial, and broadly comparable to other psychiatric phenotypes such as depression (Munaf & Johnstone, 2008). This is because nicotine is a drug and therefore chemically powerful enough to deconstruct our bodies’ blueprint which is DNA. It is this same blueprint that our children inherit. It is scary to think of the impact that smoking has on the world at large. That is why we have to keep this conversation going. Offering quit support via 1-800-QUIT-NOW and QuitNowRI. (Let us offer support to one another, refer a loved one to this helpline to help them quit smoking). Jiang, N., & Ling, P. (2013). Vested Interests in Addiction Research and Policy. Alliance between tobacco and alcohol industries to shape public policy. Addiction, 108(5), 852-864. Munaf, M. R., & Johnstone, E. C. (2008). Genes and cigarette smoking. Addiction, 103(6), 893-904. Rosenberg, L. (2013). A Shared Struggle with Tobacco Addiction. Journal Of Behavioral Health Services & Research, 40(2), 137-139.